Bulb flowers, planted correctly and on time, are some of the least demanding plants in the garden. On top of that, their blossoms and leaves contribute greatly for the beauty of your home and garden. Nothing can soften the biting frost as well as the planted bulbs do, growing under the snow, ready to bloom in wonderful colours as the first spring sun rays make their way through the thick moody clouds. You can force the bulb growth in containers at home, too, and enjoy the fragrant blossoms when winter comes to an end – an essential gardening job for the autumn. Crocuses, gladioluses and freesias have a firm vertical stalk and buds on top. Dahlias have tuber-like roots. Their buds are on the surface of the soil or a bit above it. Gloxinia, anemone, buttercup and tuberous begonia have one or more buds on the top side and roots on the bottom side of the bulb. It’s often very hard to define which part is which, except when the buds fall off. For the sake of simplicity, we will refer to all of the above as bulbs. Depending on the type of the bulb, it can either withstand temperatures below 0°C or not. The tender ones cannot bear negative winter temperatures and have to hibernate inside your house (freesias). The bulbs that can withstand lower temperatures can safely hibernate out in the open (crocuses). While flower seeds provide nutrition only until the sprouting plant finds moisture and nutrients, bulbs contain all fibers and minerals, necessary for the plant growth. After the plant’s fully grown and blooming, the chlorophile in the leaves, its roots and last but not least, the soil nutrients, provide the recovery of the bulb and it prepares for the next blooming cycle. Removing a part or all of the leaves after blooming can significantly impede the bulb’s recovery cycle and even lead to the plant’s demise. You can preserve the plant leaves and your garden’s beauty by tying the leaves together. Another way is to surround the deflorated bulb flowers with other types of plants to hide the withered leaves. Plant annual plants with shallow rooting systems, such as petunia, snapdragon or vervain carefully between the bulb leaves even before their blooming cycle. The annual plants will grow slowly and won’t intervene with the beauty of the bulbs, and, after the latter fade, the annuals will hide them with their pretty flowers. Lanes are perfect for planting bulbs, however, you can sow them even in a forested area among soil covering plants. Spring bulbs, especially daffodils, feel way better among ivy and vinca major in a forest area. They will bloom there before the trees exfoliate and block the sunlight. At the same time, there will be plenty of light so that the bulb can recover for the next blooming cycle. Most of the bulbs love plenty of sunlight or partial shade at most. If the drainage is not good enough, the bulb is in danger of rotting. Plant the bulbs around the alleys of your garden, or at opened spots, ideally, close to the south side of walls which will protect them from the cold winds. Many bulbs grow in January or February and the upcoming frost and snow won’t do any harm if the flowers are planted correctly. The buds are quite sensitive, but during that time of the year, they are still barely noticeable. Bulbs look pleasant in the garden when planted in groups, sorted by colours. Plant the large bulbs, such as tulips and daffodils in groups of 5 untill 25 pcs, whereas the smaller bulbs, such as crocuses – in groups of at least 13 pcs. Buy large and firm bulbs – avoid the flaky, defected and leafy ones – those may not be able to develop once planted. You don’t have to buy the largest ones, but still, avoid the bulbs which are too small for the given type of flower. Finally, plant the bulbs as soon as you purchase them. In general, the main rule for defining the depth of sowing is to calculate the distance between the tip of the bulb up to the surface and the size of the bulb’s diameter. With larger bulbs, the depth distance should be 2-3 times x its diameter size, and 3 to 4 times if the bulb is smaller. The distance between the bulbs should be around 1-1.5 up to 2 times the sowing depth when you have large bulbs and around 2-3 times when planting smaller ones. Sandy soils also require deeper planting, whereas clay-based ones can do away with shallow planting. Any plant does well in a humus-rich soil, which contains enough moisture, but doesn’t get damp. In the beginning, the bulbs have enough nutrient storage, but it’s a great idea to add some well-decayed manure on the bottom of the flower bed. Normally, you need to fertilise the soil once in the beginning of spring and one more time when the first blossoms appear, not counting the manure you put in the base at the beginning. With poor soils it’s good to add another layer of fertiliser after the last one. 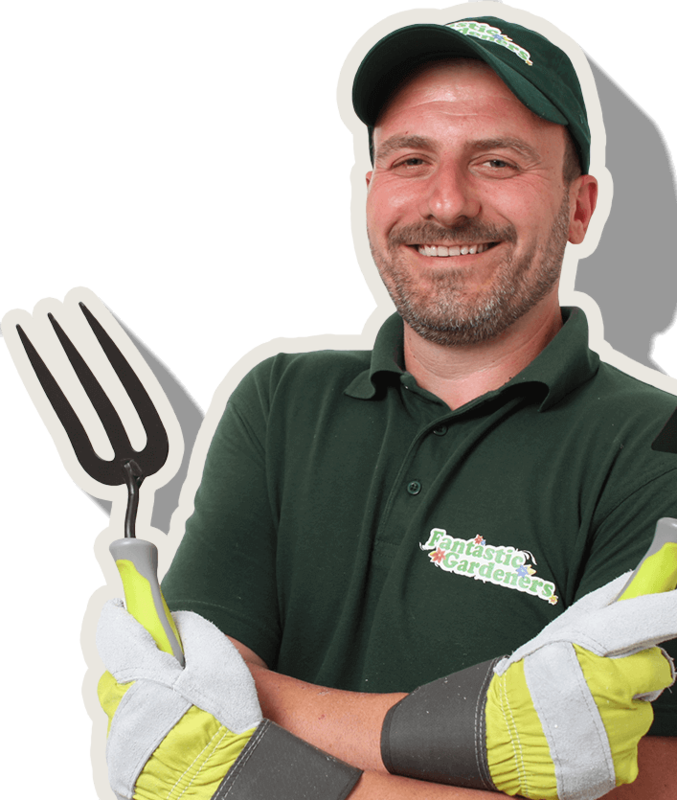 On the market, there are fertilisers with which, after the first leaves appear above the ground, you can fertilise weekly, following the instructions on the package. Water the soil well after planting the bulbs and once just before the winter frost. Bulbs also love frequent waterings during the blooming cycle until the leaves wither. Never trim the stalks with buds as you do with the annuals. Also, make sure to retain the leaves while still green – wait for them to fall by themselves, don’t cut them on purpose. One of the good things you can do for the bulbs you plant outside is to place leaves, hay or another type of a light-weight material over them. A layer of around 5 cm width will keep the soil from the constant frosting and defrosting during the winter. The hay will also prevent weed from growing, as well as it keeps the soil moisture relatively constant. Remove the hay/leaf layer when spring comes in order to allow for the sun rays to warm up the soil and activate the stalk growth. If you find rotten or mould-covered bulbs, cut the infected part and treat with fungicide or spray with a weak bleach solution – 1 tbsp of bleach with 4 litres of water. Problems on the leaves and flowers, due to pests, treat with insecticides the same way you treat other plants. Bulbs, especially the ones that bloom during summer, look very well in decorative pots and crates. Having openings for draining the excess water on the bottom is a must. Don’t use metal containers and never let the soil dry out. Bear in mind that, in containers, soil loses moisture much faster and you will have to water the bulbs there more frequently than in a garden. A very good soil mixture for containers is even parts of garden soil, well-rotted manure and perlit. The most popular method here is by resetting and dipping tillers and seeds. You have to dig and split the bulbs. 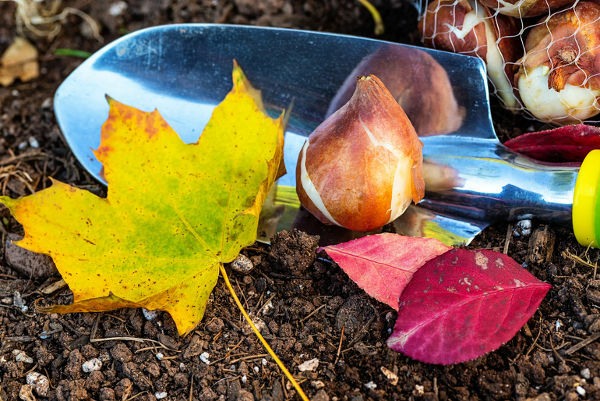 Dig out the bulbs after the leaves wither and fall. Do it carefully – you don’t want to scratch the bulbs. Reset the bulbs by using fungicide on the spots you split them. Plant the bulbs back. The smaller bulbs will take between a year and three to bloom. It’s a good idea to plant smaller bulbs in a separate containers or segregated areas in the garden, to keep consistency. Some bulb types are incredibly easy to force. Crocuses, for example, will bloom on the window sill, without the presence of water, soil or container. The only thing they need is light. With most bulbs, forcing goes in three phases. The soil substrate must have very good drainage capabilities. The bulbs should be placed very close to each other and at around 1 cm of depth. That’s how all the bulbs will bloom at the same time. Phase 1: winter. Bulbs need 8 to 15 weeks at a dark and cold place with temperatures between 0 and 10°C. You can store the bulbs in a fridge, basement, garage or even outside, but make sure they are protected from frost. After that you can start to gradually move the containers to a warmer place. This way you will provide more time with blooming forced bulbs. Phase 2: transferring the bulbs to a warmer place. Move the containers in a cool and lit area at around 10-15°C. Phase 3: blooming time. Move the bulbs to a sunny and warm place – with around 15 to 20°C. If the plants grow too high, prop them up. Most often, the forced bulbs do not bloom on the next year and need to take a break. The most widespread spring blooming bulbs are crocuses, daffodils, tulips and hyacinths.